This is my first time ever raising or being around broiler chickens. I grew up around laying hens. So I have learned a lot the last few months. My husband on the other hand, is experienced, I guess you can say. He has raised chickens, broilers and layers, since he was a kid. I had always heard that broiler grew fast (very true), that they are lazy birds or just get too fat too fast so they don’t move much. Now that is not true for our birds. They did grow fast, but those birds move. 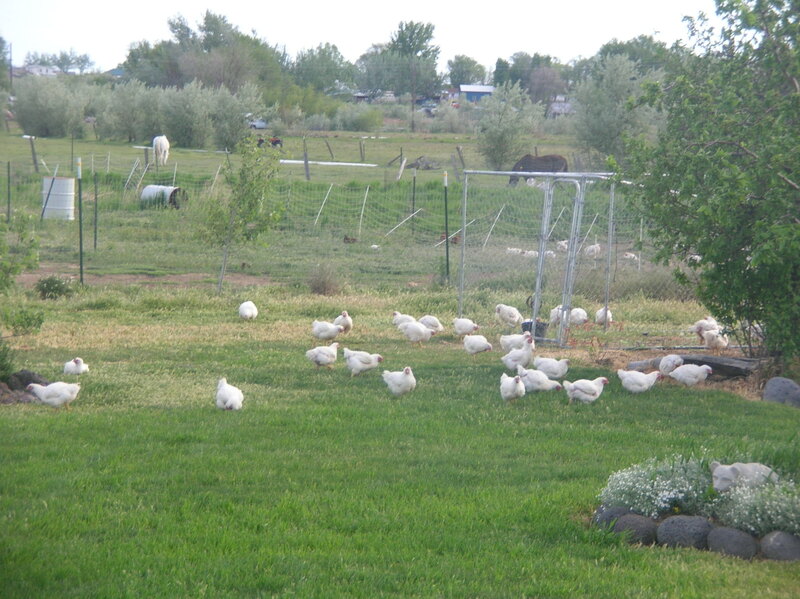 They started out in a brooder or hoop house as most chicks do and soon after was released or the door was opened and they were allowed to roam our property as they wished. As young chicks, they stayed close to the hoop house and the only safety they have ever known. It was wasn’t long before they were wandering all over the yard and eat anything they saw fit. Wherever they went you knew a whole flock of broiler had been there. This is not like the typical layer who will walk around the yard by herself scratching randomly for bugs and then move on without leaving much trace she had been there (besides her scratched out hole if she gets really carried away). 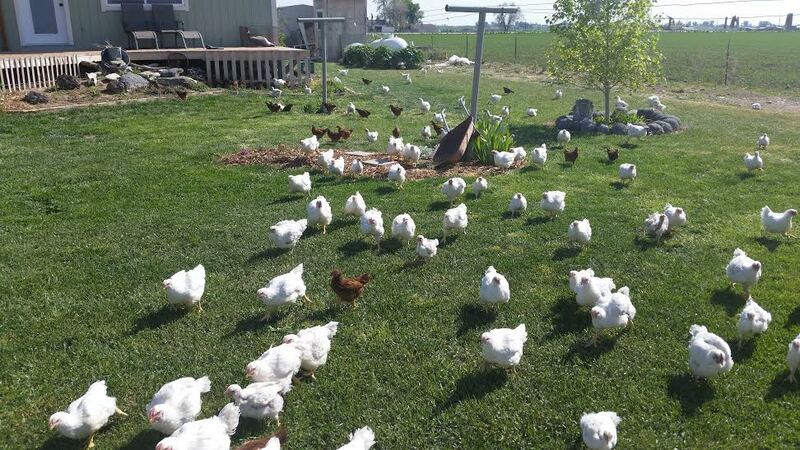 Broilers are a little slower to move but also travel together, laying down to take breaks as they go, smashing anything that may be in the way when they decide to lay. Which definitely takes patience and deep-breathing on my part when they decide to shade up or nap in my flowerbeds. And when you walk out the door, it is amazing to see how fast these birds can get up and move just to gather at your feet to greet you. Granted, they go through an ugly phase which is true for most living things, including humans, as they grow from baby to adulthood. There are times you don’t want to look out your window at those ugly birds, but those times pass in the blink of an eye. Just like watching your toddler grow out of the terrible twos and then you miss those times. It has been an amazing journey! It will be one that I will never forget and definitely one we will go through again. And knowing my husband and his love of poultry, will travel that road again very soon.